Only a few hours to go. The reason behind all those sick days tomorrow is that World of Warcraft: Legion is launching late tonight/very early tomorrow morning/late tomorrow afternoon. 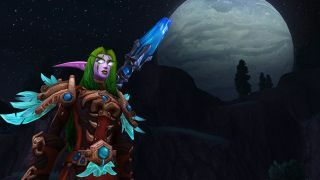 The time depends on what part of the world you live in, obviously, and now Blizzard has detailed exactly when WoW's latest expansion will be going live. If you've not been following Legion news, make sure you click on the above link, and check out Richard Cobbett's summary of how WoW is finally heading towards its endgame.